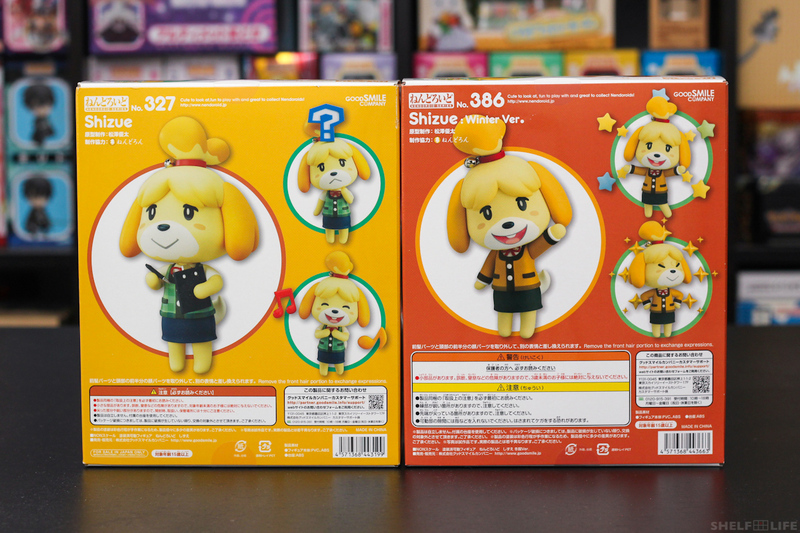 The main character of today’s review is the cute and reliable Shizue, also known as Isabelle in English versions of the game, from Animal Crossing New Leaf! 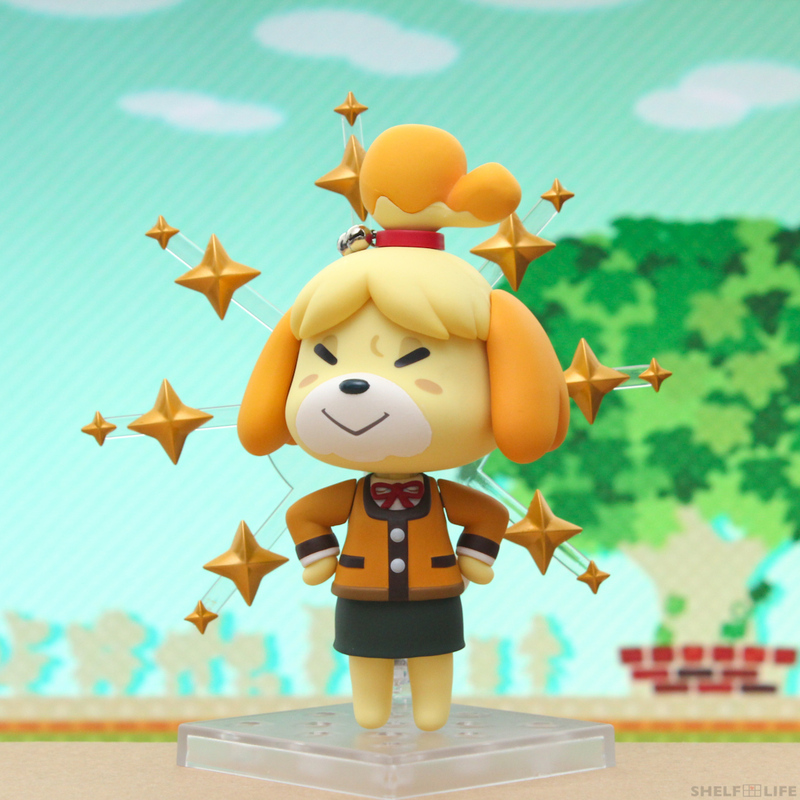 I’ll also be referring to her as Isabelle henceforward since I play the North American version of the game. 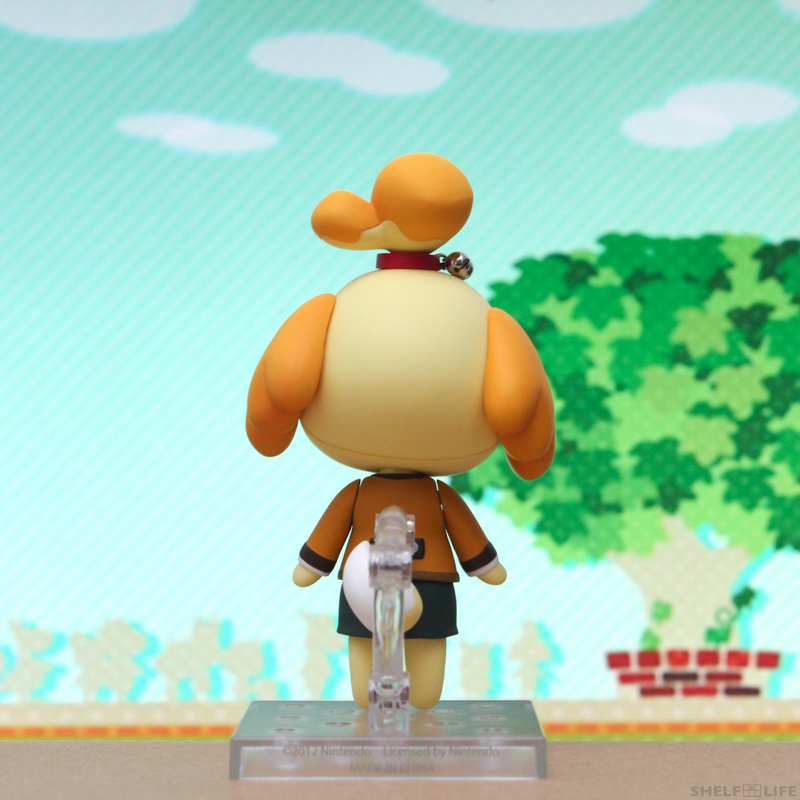 Animal Crossing New Leaf is the first game in the Animal Crossing series that I’ve ever played, and since starting the game about a year ago, I’ve become a huge fan of the series. 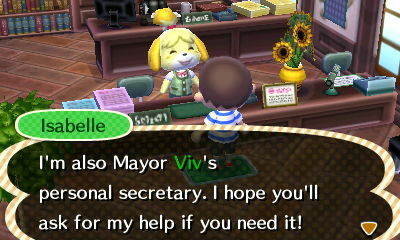 In the game, you assume the role of Mayor in a small town with animal villagers, and Isabelle is your trusty personal secretary. 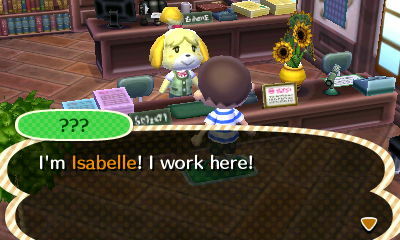 She practically lives in the town hall doing all the paperwork and planning all the events. 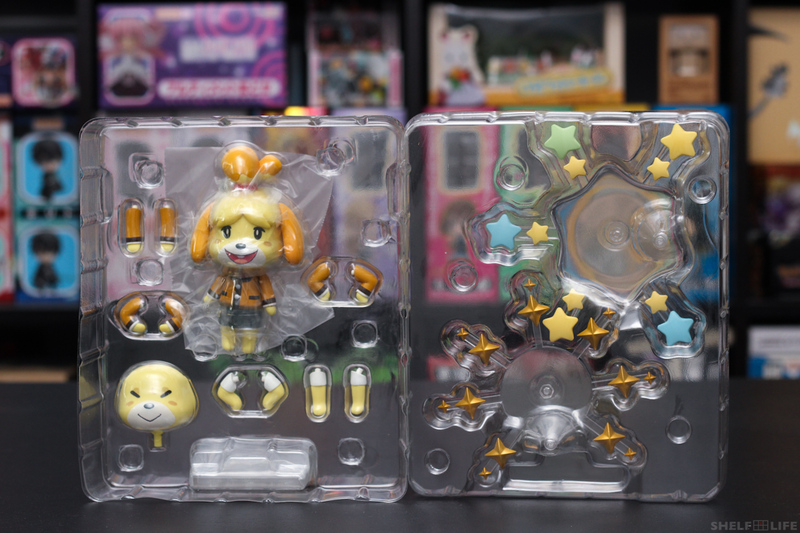 Anyway, she’s so awesome that she got, not only one, but two Nendoroids made after her! I’ll be reviewing both versions of her today. She wears her spring and summer uniform in the regular version, and she wears her autumn and winter uniform in the winter version. Let’s start with the boxes! Here are side by side comparisons of the four sides between the two boxes. They’re colourful, but they’re nothing out of the ordinary. 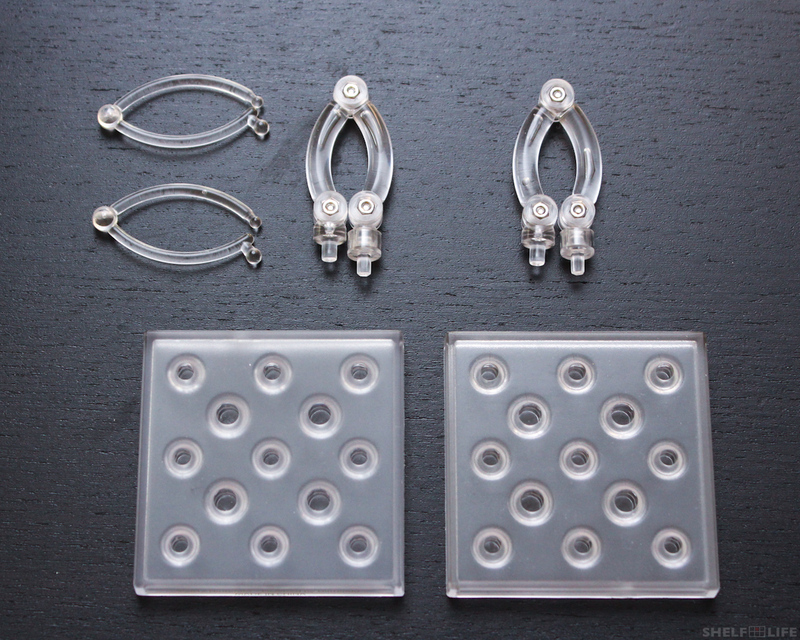 Next, let’s look at an overview of all the parts each Nendoroid comes with. 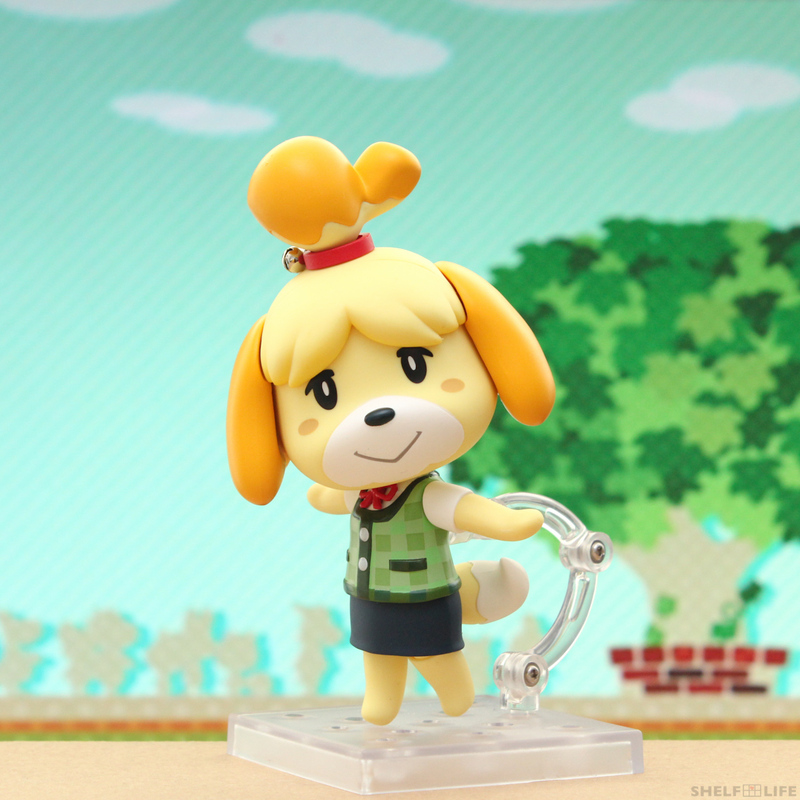 Regular Isabelle comes with her spring/summer uniform, a default smiling expression, two extra expressions, a question mark and extra hairband to hold it, two music note parts, an arm with a pen, an arm with a clipboard, and two extra bent arms. Winter version Isabelle comes with a little bit more. 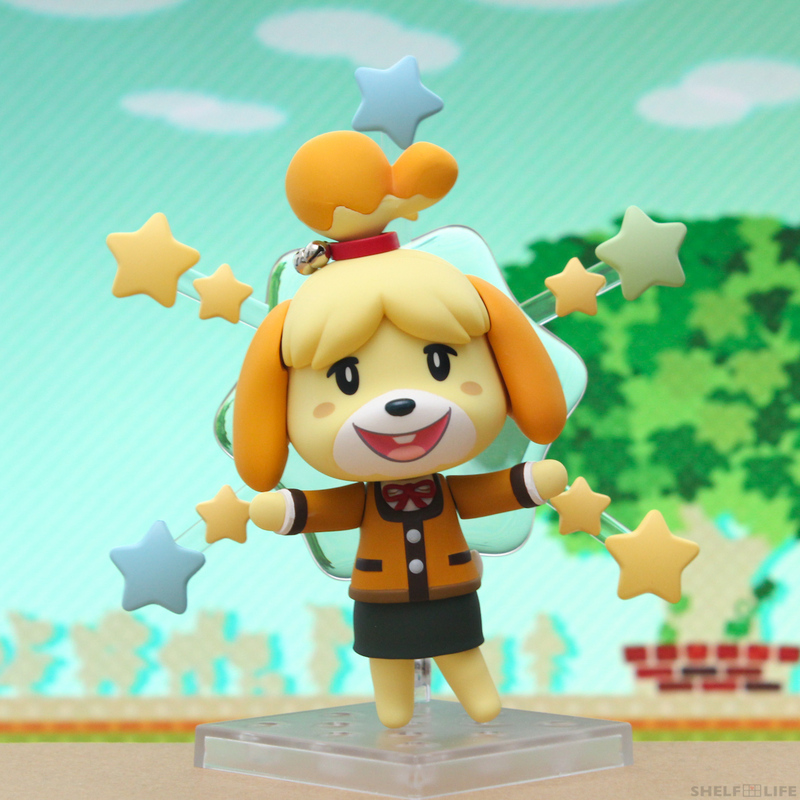 She comes with a smiling expression as a default, one extra expression, a pair of straight arms, two different pairs of bent arms, and two types of starry effects parts used to recreate the emotions she uses in the game. 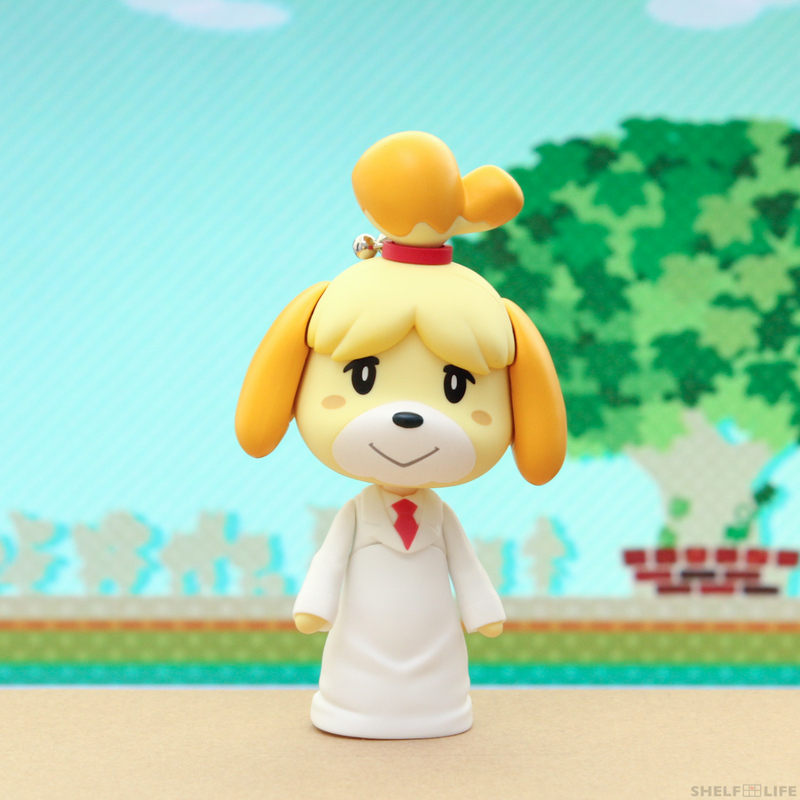 She also comes with an extra pair of straight arms and bent arms for the spring/summer uniform! 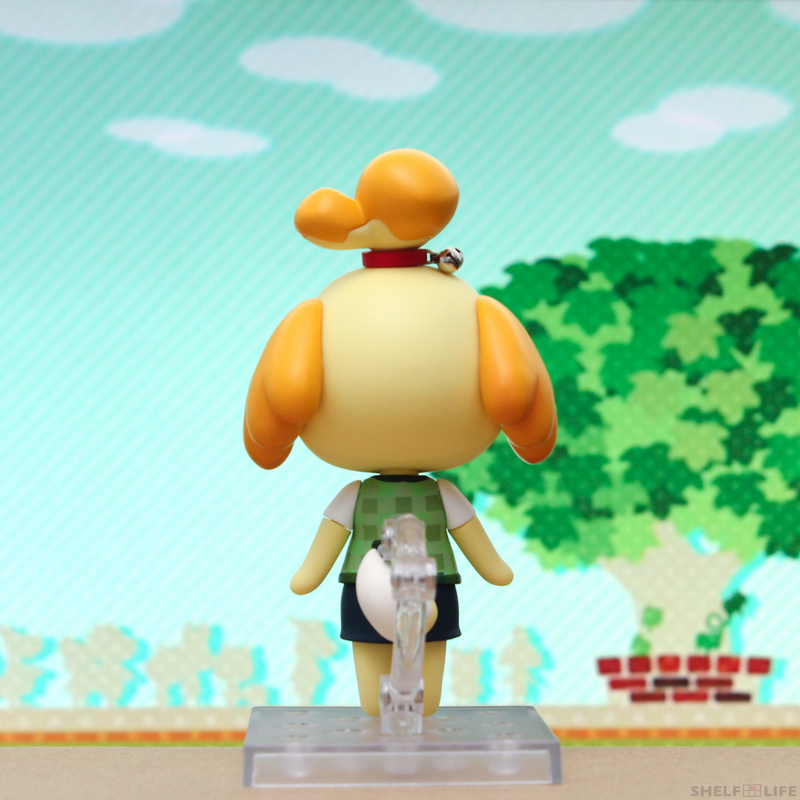 Isabelle uses the standard square-based arm stand. 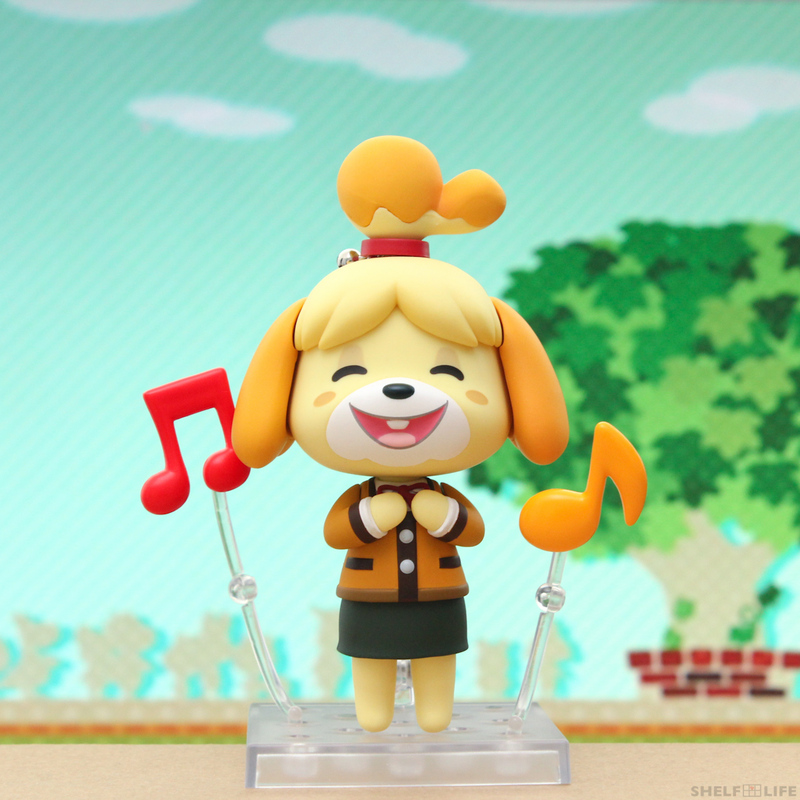 Regular Isabelle actually comes with two additional smaller arms for displaying the music notes around her. 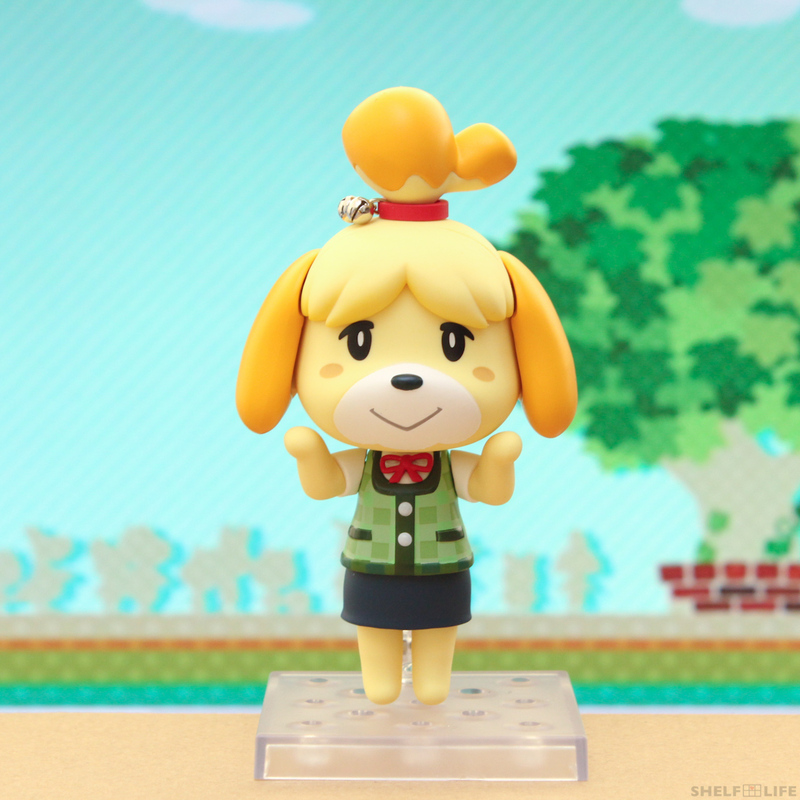 Because her game model is chibi to begin with, Isabelle looks perfect as a Nendoroid. Here she is in her spring/summer uniform, straight out of the box. She wears short sleeves, a cute green vest, and a blue skirt. And here she is in her autumn/winter uniform. She wears a long-sleeved brown cardigan and a green skirt instead. 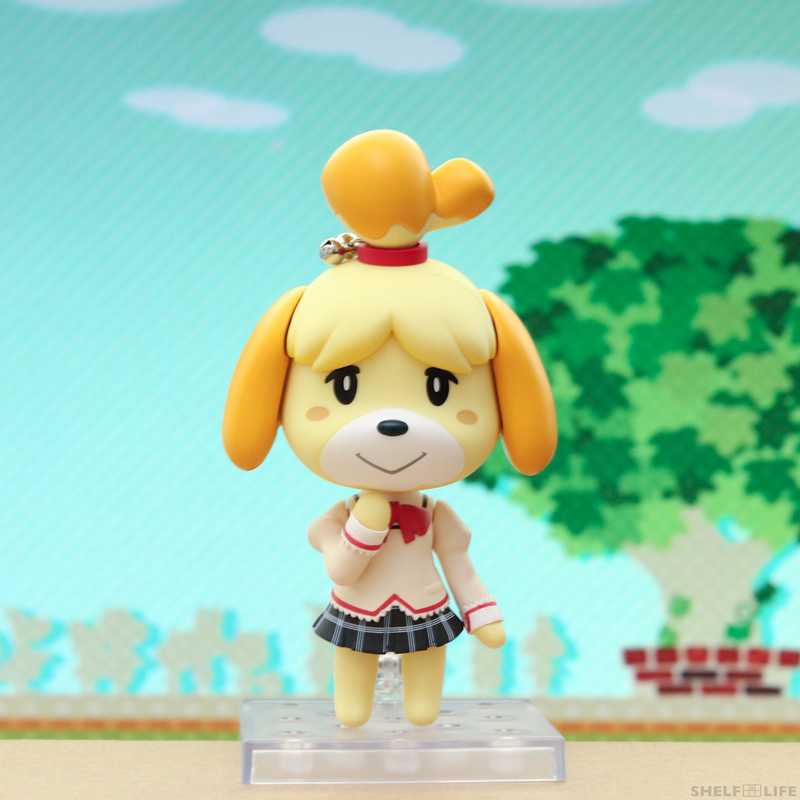 Even though Isabelle is a dog, she works just like a regular Nendoroid. 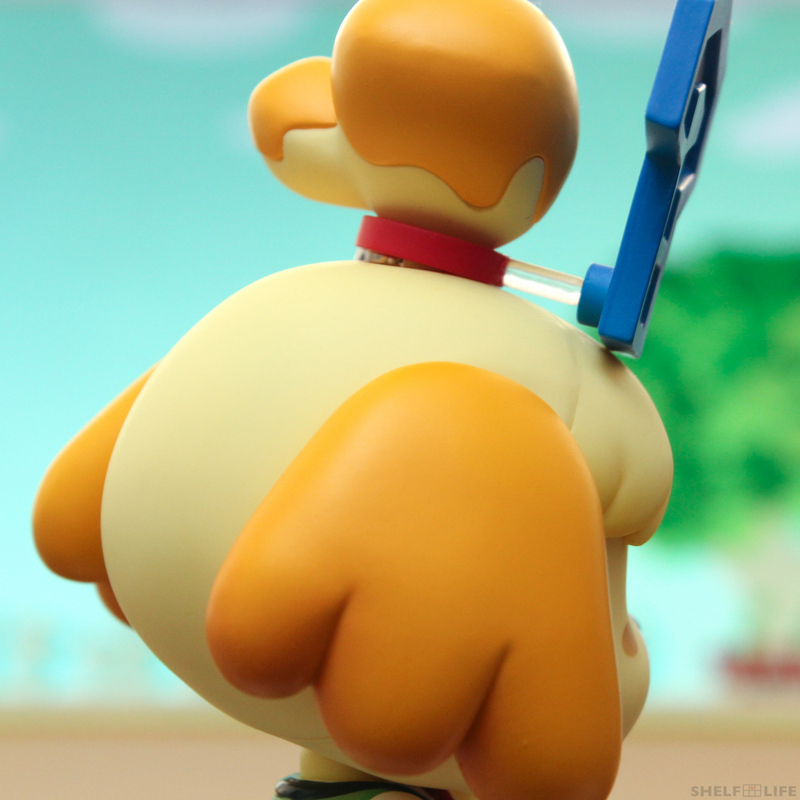 In terms of articulation, she has standard neck, shoulder, waist, and leg joints in both Nendoroids. 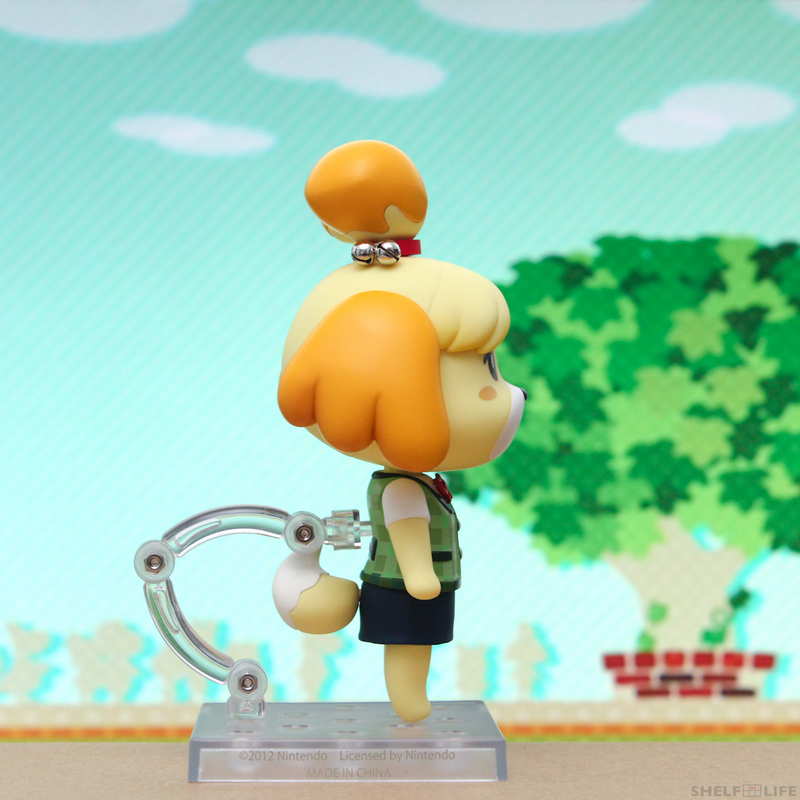 She also has ball joints on her ponytail and her tail, and the ears can also be rotated. 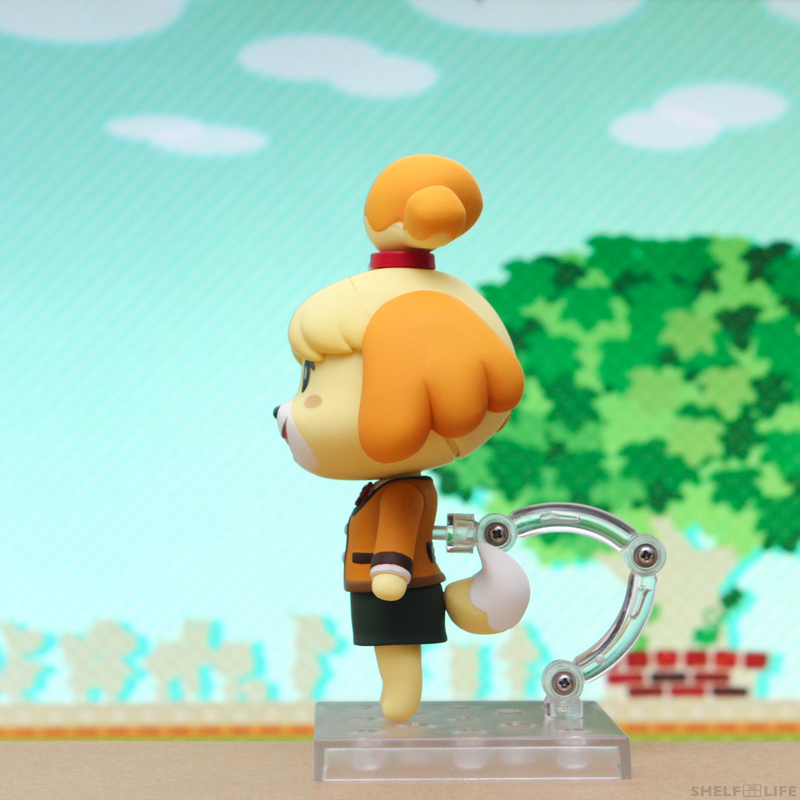 Her arms also separate from her sleeves, so they can be rotated and switched around. The short sleeve is a little strange though, since the connecting peg is on the sleeve rather than on the arm, like it usually is. 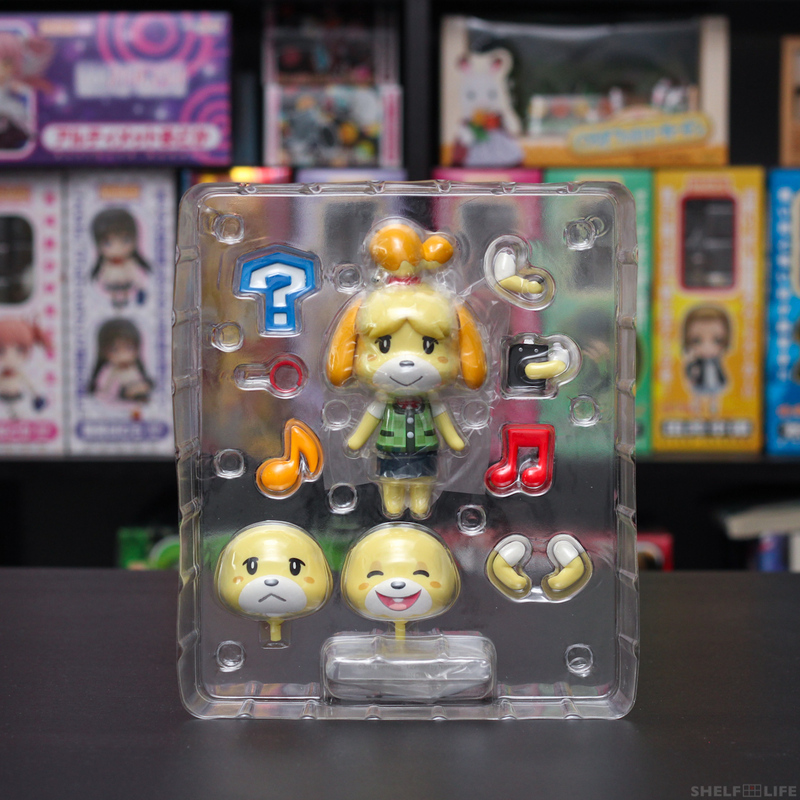 Her head is also a different shape from standard Nendoroids, so you won’t be able to swap parts like expressions and hair. Interestingly, her expressions also come with the neck joint, like older Nendoroid expressions. They don’t follow the new design even though she is post-300. 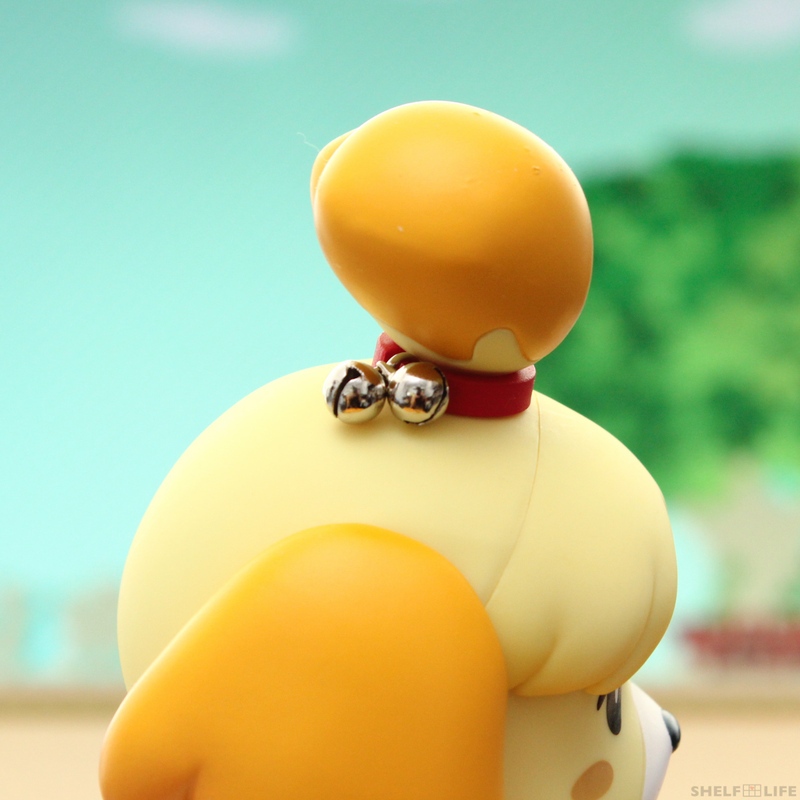 The bells on top of her head are definitely one of my favourite features of this Nendoroid. They’re small but look amazing, and it was a really pleasant surprise when they rang. 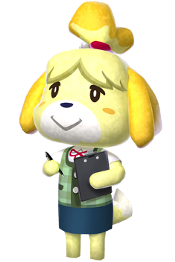 The first pair of arms and accessories for the regular Isabelle – the pen and clipboard, for Isabelle to get the work she needs done! Unfortunately, I don’t think the pen or clipboard can be removed from her hands, but her arms can be removed from her sleeve. I am quite happy with the quality and level of detail in these parts. I’d only wish they could be removed and used as accessories on their own. These next parts let us recreate the curiosity emotion from the game. 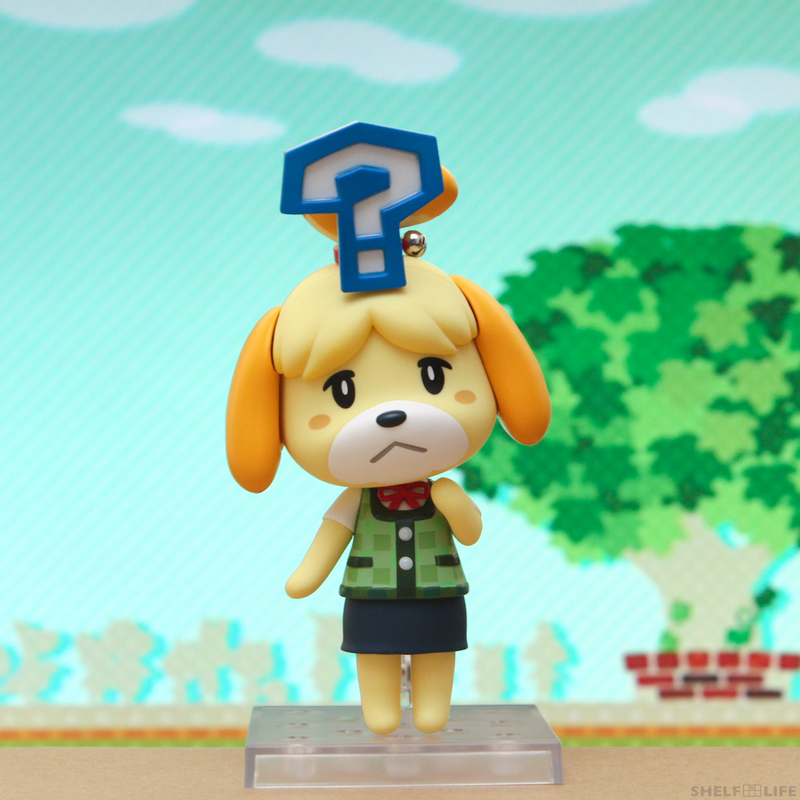 This uses the question mark effect with the alternate hairband, the (・ヘ・) expression, and one of the bent arms. The slight tilt of her head just makes her sooooo cute!! This one’s definitely my favourite expression. With both bent arms, the super smiling expression, and the music note effects, we can recreate the glee emotion! 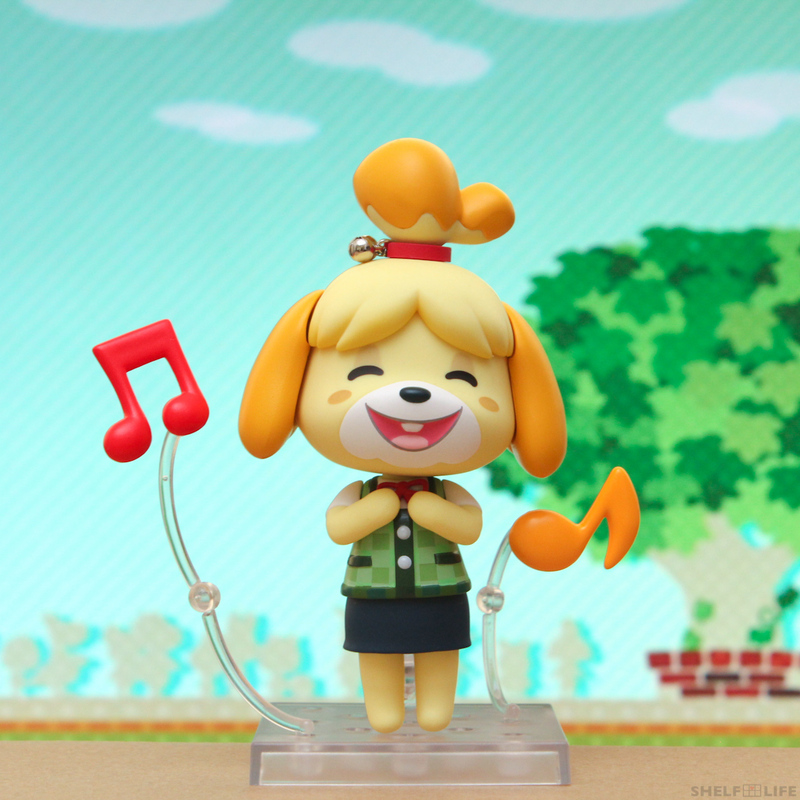 Isabelle can sing her heart out like this. 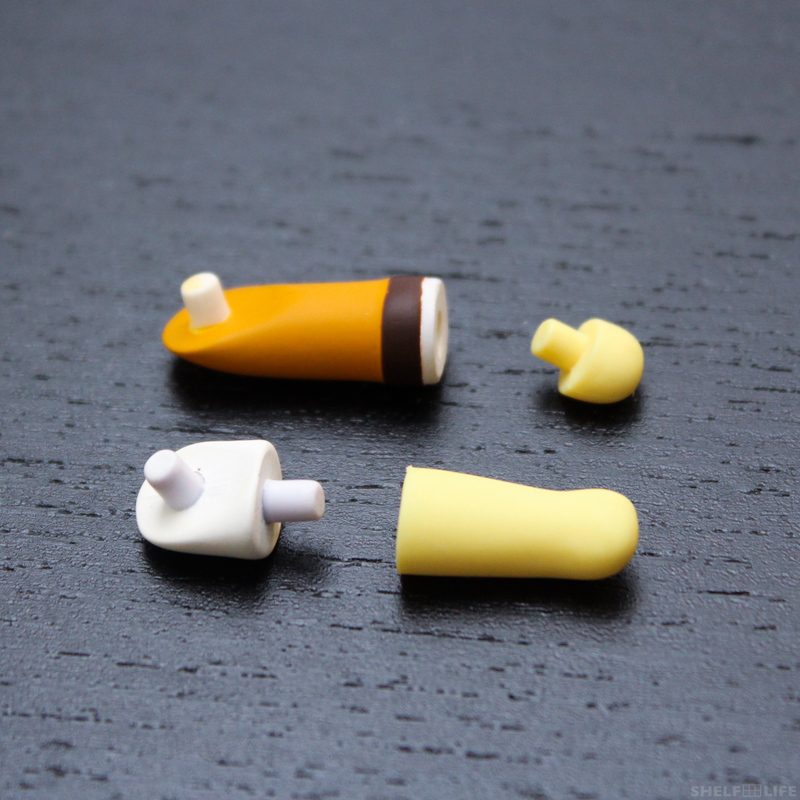 The arms for the music note effects can go into any of the smaller holes on the square base. They’re also ball jointed, so they can be moved around. 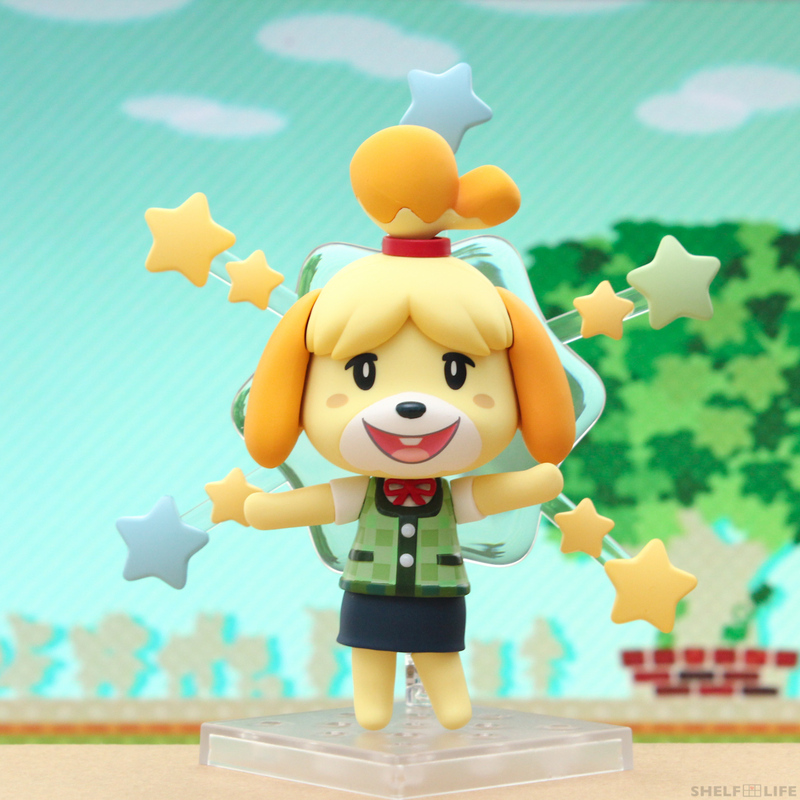 The first emotion we can recreate with the Winter Version of Isabelle is the flourish emotion, where she twirls around in a circle and poses with her arms out as stars fly outwards from her. 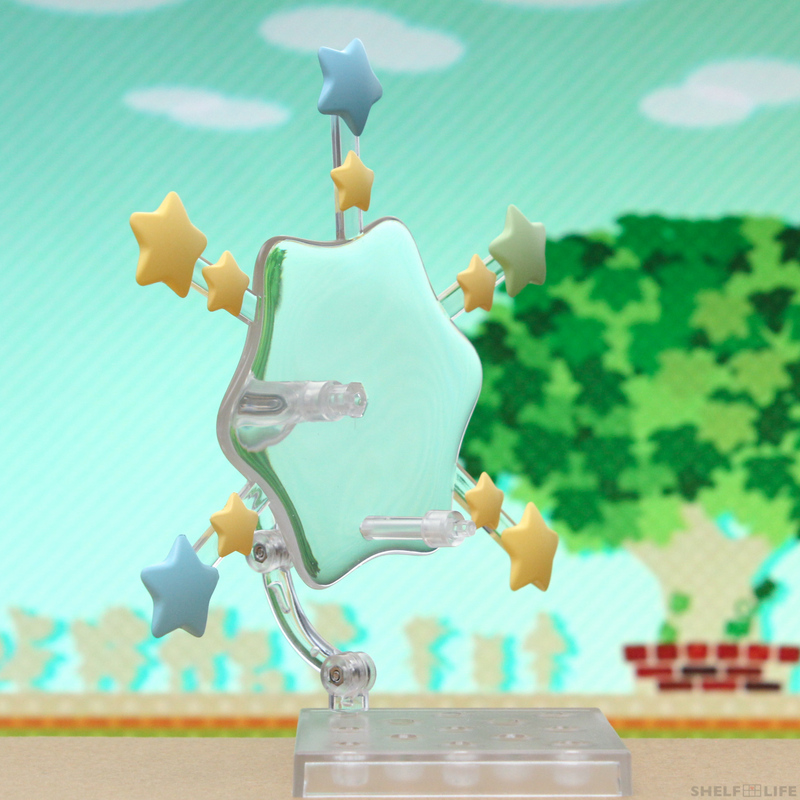 This pose uses the extra pair of straight arms, and the effects part with the colourful stars. I am very impressed with how this turned out, and I really like this effect part. 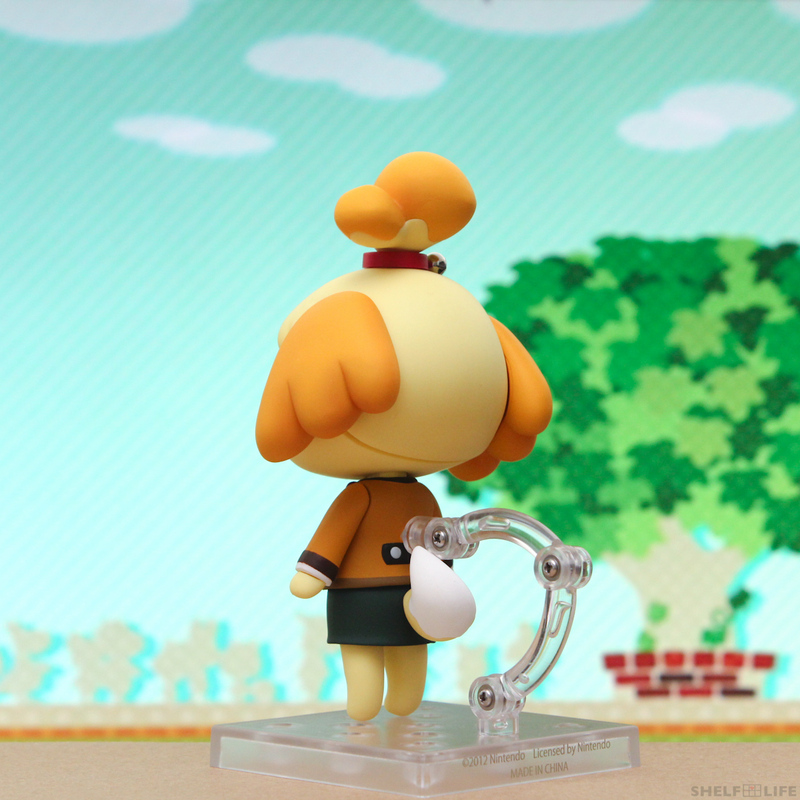 The arm from the stand connects to the effect, and the Nendoroid connects to the arm sticking out from the effect. 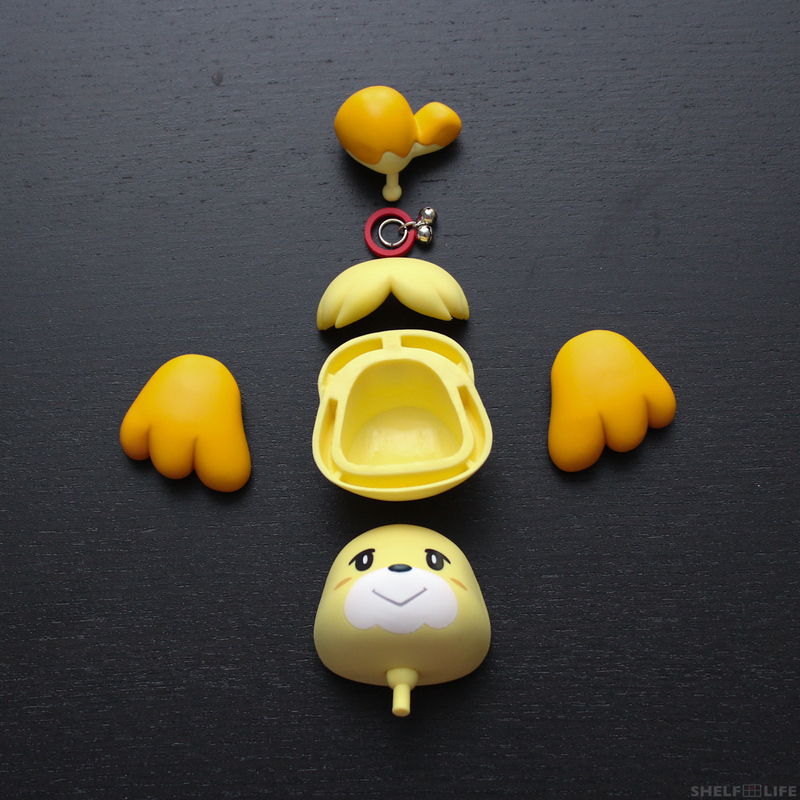 These arms are standard-sized, so you can definitely use these parts with other Nendoroids. Another awesome emotion we can recreate is the pride emotion, where she puts her hands at her hips, looks up with a smug expression, and stars come out around her! 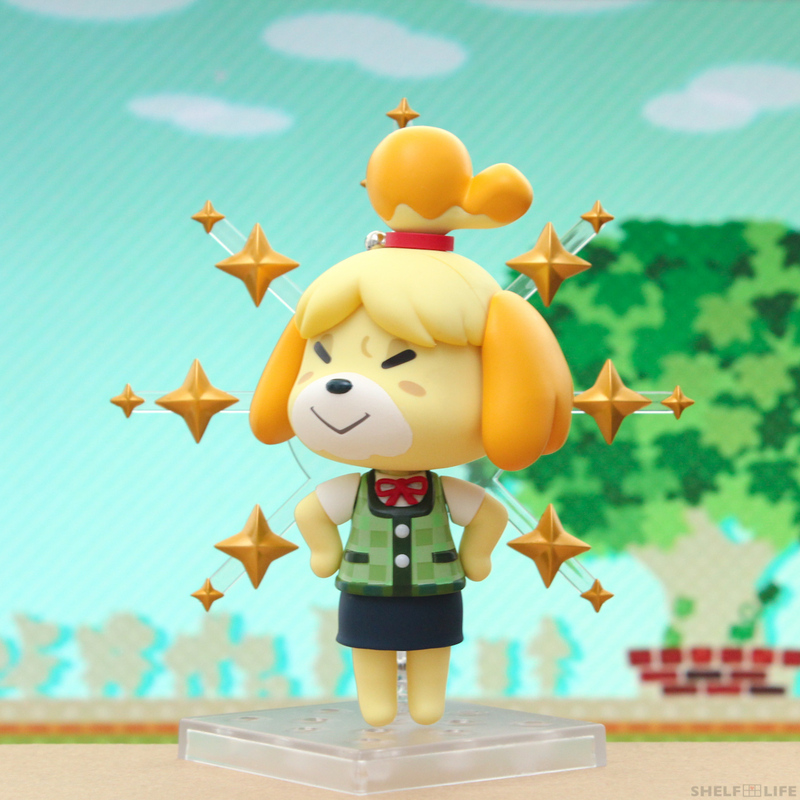 This one uses the smug (◝ ‿ ◜) expression, bent arms, and the golden starry effect part. The last pair of bent arms for our winter version Isabelle come up in front of her, and combined with parts from the regular Isabelle, we can have Isabelle singing with glee in her winter uniform. 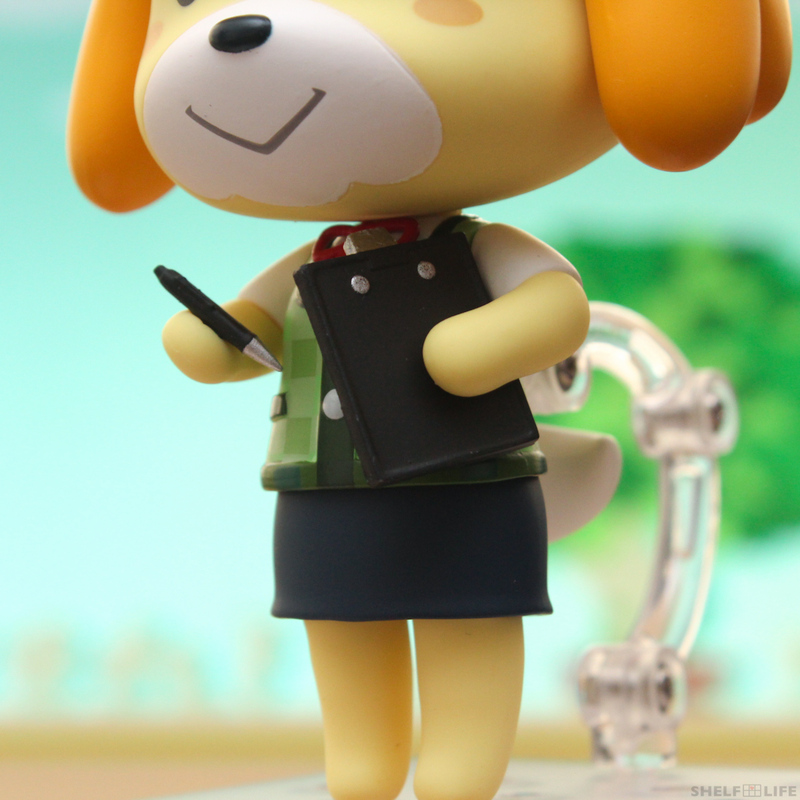 But you can also combine them with her smug expression and make her look like she’s plotting something evil! And the second pair are the bent arms needed to recreate the pride emotion! Other than the intended poses, you can always make up your own. 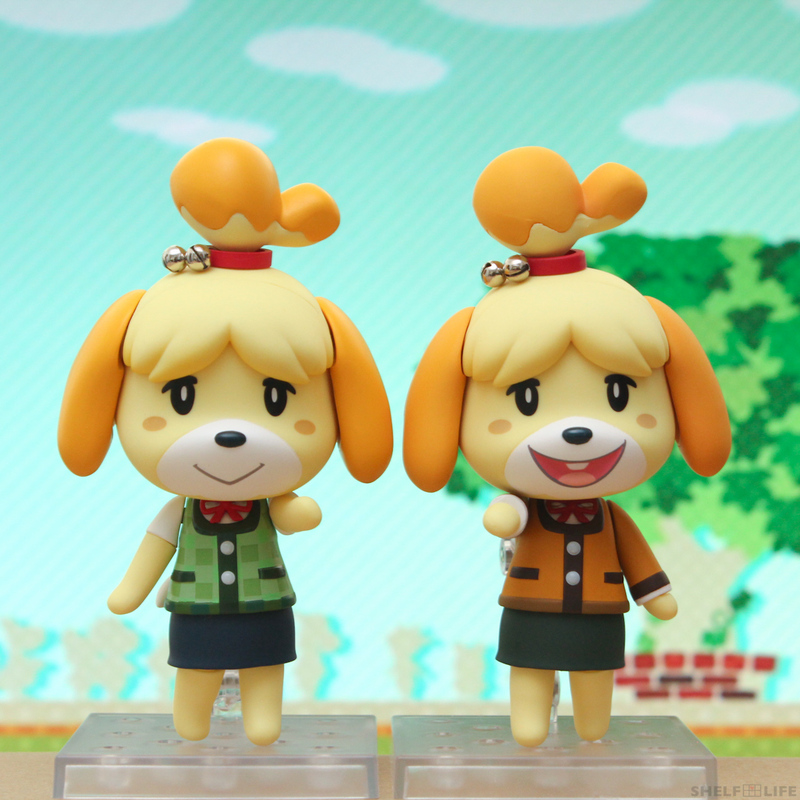 As a big fan of Animal Crossing, I personally love both of these Nendoroids. All together, you get five different expressions, two different outfits, and lots of parts for different poses and emotions, including unique effects parts that can be used with any of your other Nendoroids. There was a bit of a scratch in the paint on the ponytail on one of my Isabelles, but other than that, I was very impressed with the overall quality of these two. 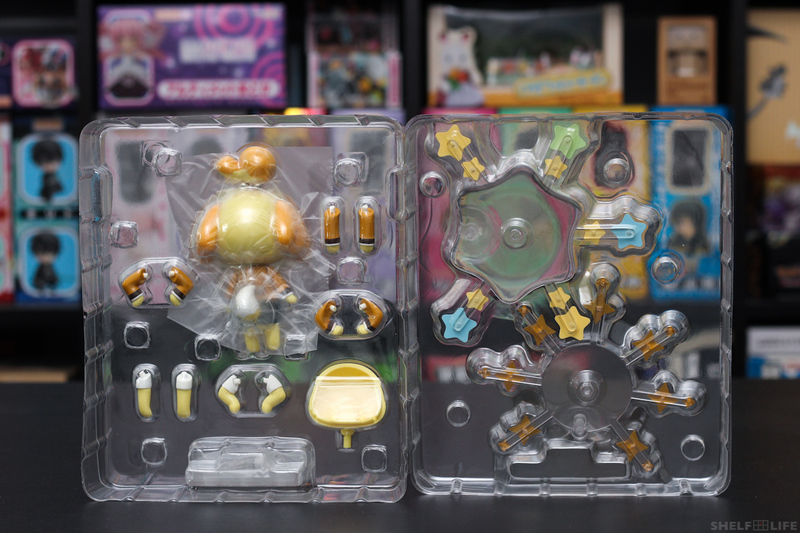 They’re simpler and more colourful than your average Nendoroid, but they’re still tons of fun. 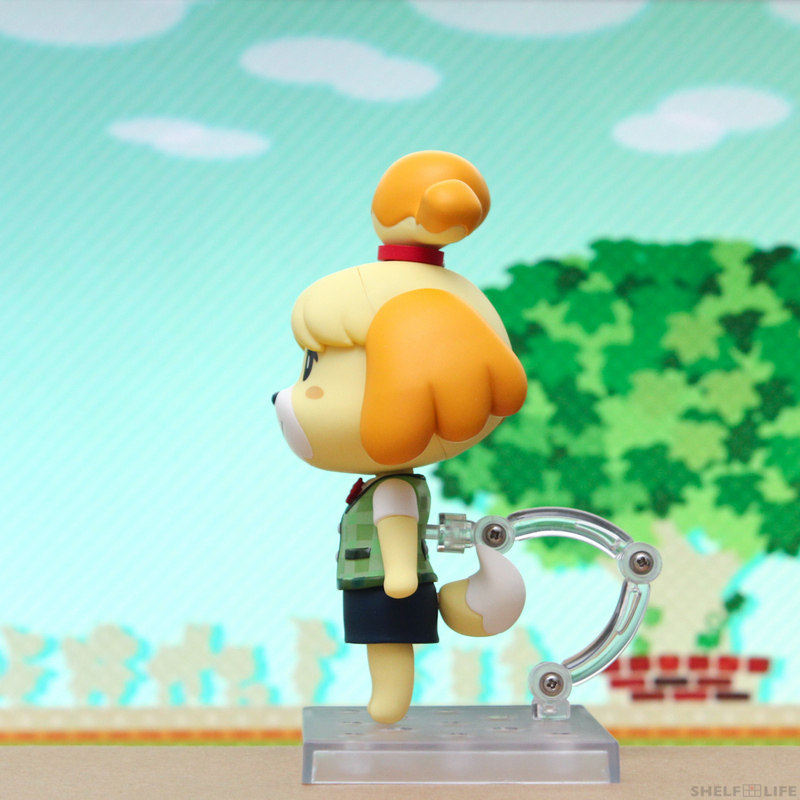 If you’re a fan of Animal Crossing, then I don’t think you’ll be disappointed with either of these. 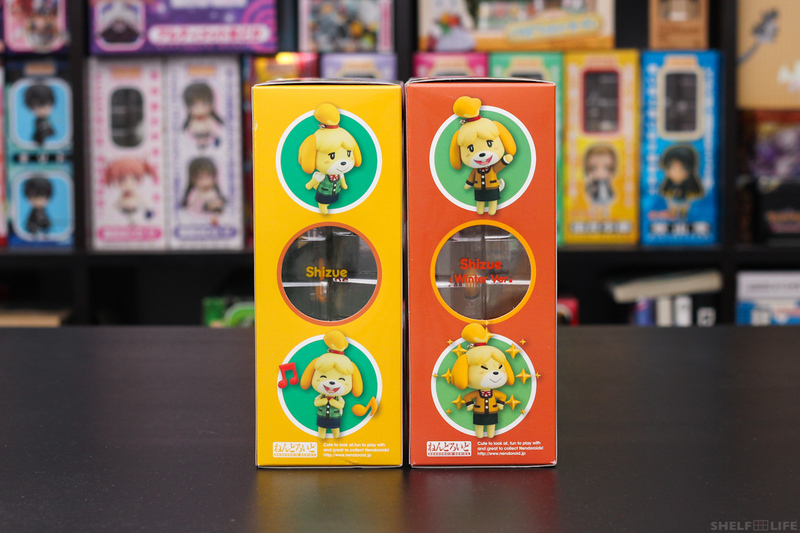 Posted in Nendoroid Reviews, Nendoroids, ReviewsTagged animal crossing, isabelle, nendoroid, new leaf, review, shizueBookmark the permalink. Hi! 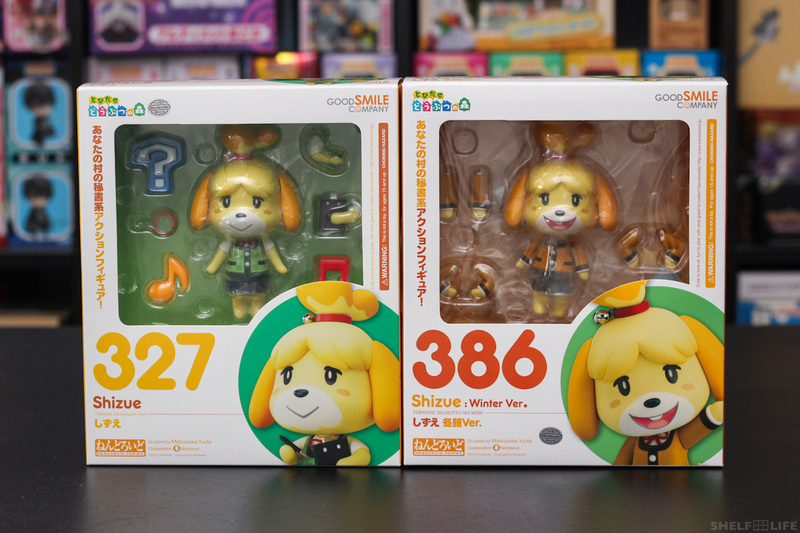 Sorry I don’t speak Italian.. but I bought these two from an online Japanese retailer: AmiAmi. 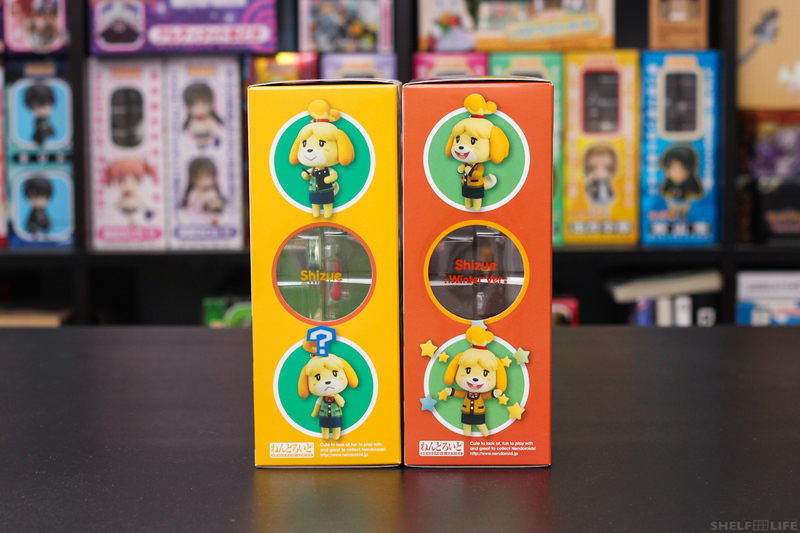 They’ve been sold out for a while now, but luckily, the regular Isabelle got a re-release! You can find her here. 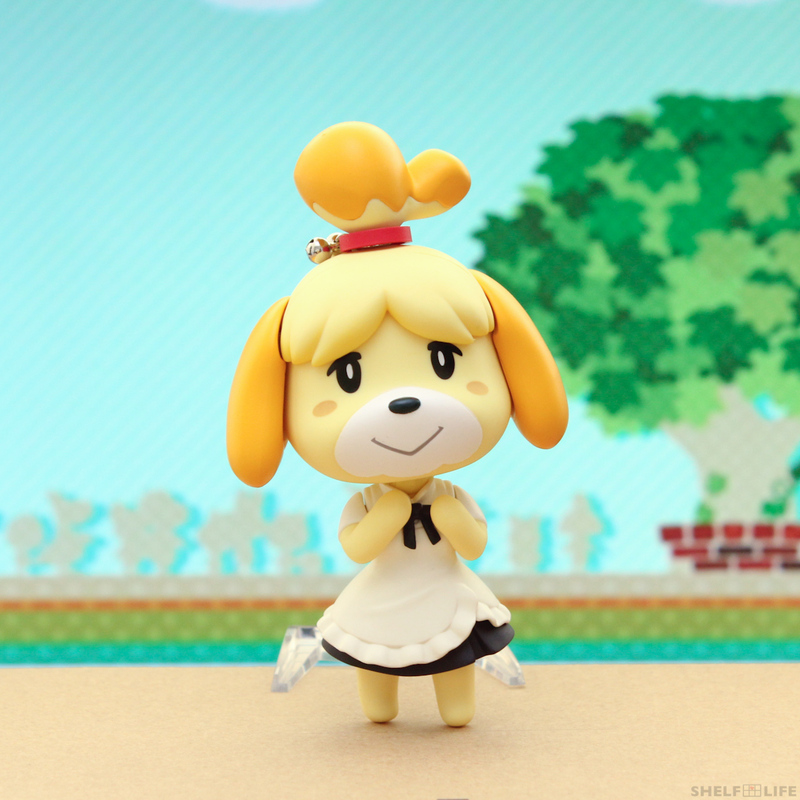 Which Nendoroid did you combine her with here: https://shelflifefigures.files.wordpress.com/2014/06/img_7118.jpg ? Hello~ I used the body from Nendoroid Taneshima Popura, but you can also use the uniform from Nendoroid Inami Mahiru as well. Hope that helps! Great, thanks for such a fast response!